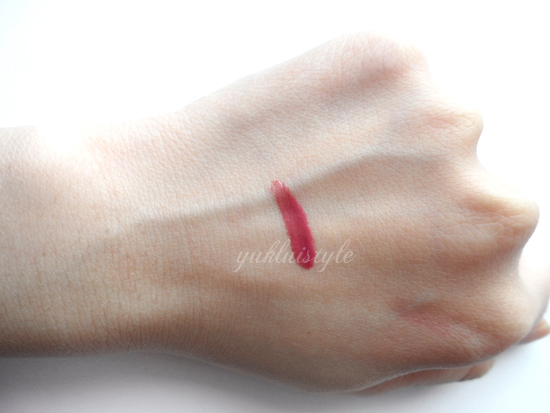 This is great for people who want to start wearing brighter or red lips but doesn’t want to jump straight onto it. 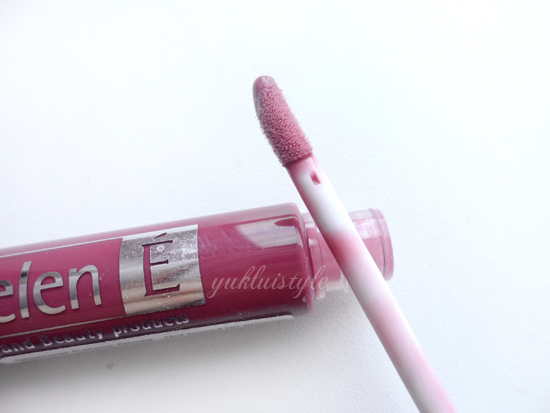 It has a great amount of pigmentation for a gloss. I would say around 70 – 80% opaque which I feel is a great amount for a lipgloss. This Redcurrant shade is a gorgeous red, pinkish mauve, berry shade to help transition into the autumn from the summer. It’s not deep yet not bright, more in between the two suiting all skin tones. This is a sticky, thick lipgloss and getting hair stuck onto the lips isn’t a great feeling especially in the wind. I wouldn’t say that this lipgloss gives a high shine; just a good amount without it being too much or over the top. I did find that it did hydrate a little bit but nothing spectacular even if it contains vitamin e.
Shine lasts a good 4, 5 hours, leaving a slight stain like colour if you don’t have anything to eat or drink. The scent is like candy, a fruity candy. It will leave a mark on your mug and bottle therefore lasting a good hour or so. 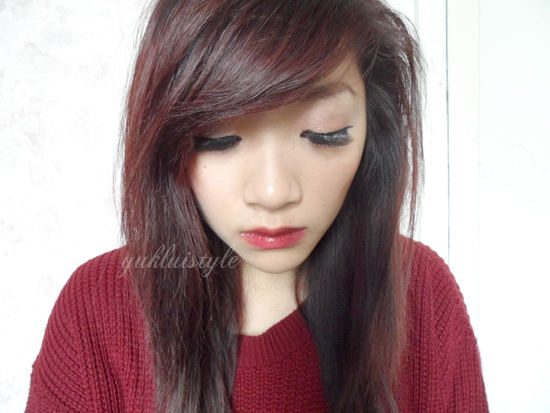 I love this shade and keep wearing it nowadays but remove it when I keep getting hair stuck as it keeps annoying me. I like the applicator due to the gloss not fully coat the whole of the sponge, only at the end tip creating a smooth, mess free application after on stroke. The packaging isn’t one of the most glamorous ones out there but its there to pop into your bag. It is a great lipgloss but am not really keen on the stickiness. This is my to go product when it’s not windy and will keep using it until I’ve used it up or find a new one. For the price, if it wasn’t sticky, I would definitely repurchase it. Have you tried any Helen E cosmetics? Love that colour! It's been ages since I've seen Helen E products! Debenhams used to have a Helen E counter but I haven't seen it lately. I purchased the rollerball lip gloss from them a couple of years ago. Looks so good with your hair hun! Wow, the shade is splendid! Love the Shade! Looks great on your skin tone! !